Aged thirteen when she went into the secret annexe, Anne kept a diary in which she confided her innermost thoughts and feelings, movingly revealing how the eight people living under these extraordinary conditions coped with the daily threat of discovery and death, being cut off from the outside world, petty misunderstandings and the unbearable strain of living like prisoners. Jak začala kariéra slavného lupiče-gentlemana? Jaké události se staly na začátku jeho životní cesty a nakonec přivedly mladíka na dráhu zločinu? A jakou roli v tom hrálo setkání s tajemnou, ale překrásnou hraběnkou Cagliostro? Odpovědi na otázky najdete v této knize. Publikace nabízí zjednodušenou verzi románu, která je určena pro studenty francouzštiny mírně pokročilé úrovně (A2-B1 podle SERR pro jazyky), zrcadlový český překlad, komentáře gramatických a lexikálních jevů a poznámky k francouzským reáliím. Karl Friedrich Hieronymus von Münchhausen (1720 – 1797) byl německý voják a cestovatel. Při různých společenských událostech získal reputaci vyprávěče, jehož historky o dobrodružstvích, která zažil, byly značně přehnané a neuvěřitelné. Zaujaly natolik, že už za jeho života, k jeho nevelké libosti, byly zpracovány v literárním díle. Příběhy byly později upravovány a přeloženy do mnoha jazyků, nakonec existuje na 100 různých vydání. Máte možnost přečíst si několik z nich v angličtině. The tale of Beren and Lthien was, or became, an essential element in the evolution of The Silmarillion, the myths and legends of the First Age of the World conceived by J.R.R. Tolkien. Returning from France and the battle of the Somme at the end of 1916, he wrote the tale in the following year. Essential to the story, and never changed, is the fate that shadowed the love of Beren and Lthien: for Beren was a mortal man, but Lthien was an immortal Elf. Her father, a great Elvish lord, in deep opposition to Beren, imposed on him an impossible task that he must perform before he might wed Lthien. This is the kernel of the legend; and it leads to the supremely heroic attempt of Beren and Lthien together to rob the greatest of all evil beings, Melkor, called Morgoth, the Black Enemy, of a Silmaril. In this book Christopher Tolkien has attempted to extract the story of Beren and Lthien from the comprehensive work in which it was embedded; but that story was itself changing as it developed new associations within the larger history. To show something of the process whereby this legend of Middle-earth evolved over the years, he has told the story in his father's own words by giving, first, its original form, and then passages in prose and verse from later texts that illustrate the narrative as it changed. Presented together for the first time, they reveal aspects of the story, both in event and in narrative immediacy, that were afterwards lost. Hans Christian Andersen was the profoundly imaginative writer and storyteller who revolutionized literature for children. He gave us the now standard versions of some traditional fairy tales - with an anarchic twist - but many of his most famous tales sprang directly from his imagination. The thirty stories here range from exuberant early works such as 'The Tinderbox' and 'The Emperor's New Clothes' through poignant masterpieces such as 'The Little Mermaid', 'The Little Match Girl' and 'The Ugly Duckling', to more subversive later tales such as 'The Ice Maiden' and 'The Dryad'. 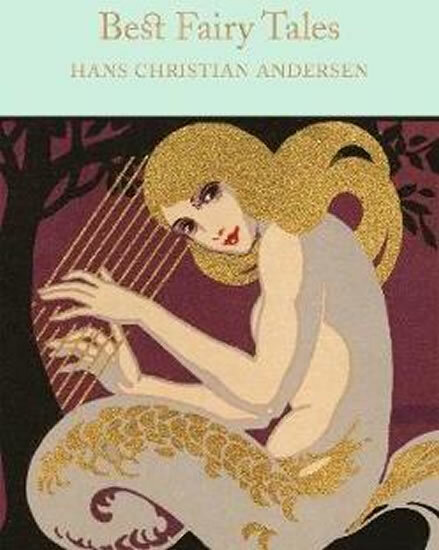 Uniquely inventive and vivacious in style and with deep insight into children's points of view, Andersen established a new genre in literature.This beautiful Macmillan Collector's Library edition of Hans Christian Andersen's Best Fairy Tales is the classic translation by Jean Hersholt and is illustrated by various artists, with an afterword by Ned Halley.Designed to appeal to the booklover, the Macmillan Collector's Library is a series of beautiful gift editions of much loved classic titles. Macmillan Collector's Library are books to love and treasure. The new epic love story by the bestselling author of The Lucky One and The Notebook They were teenage sweethearts from opposite sides of the tracks - with a passion that would change their lives for ever. But life would force them apart. Years later, the lines they had drawn between past and present are about to slip . . . Called back to their hometown for the funeral of the mentor who once gave them shelter when they needed it most, they are faced with each other once again, and forced to confront the paths they chose. Can true love ever rewrite the past? 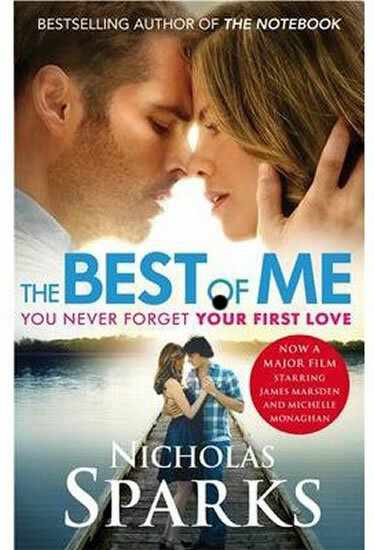 This is the new epic love story from the multi-million-copy bestselling author of The Notebook, The Lucky One and The Last Song. Nicholas Sparks is one of the world's most beloved authors. Příběh o vlkovi, v jehož žilách koluje psí krev, je zpracován pro začínající čtenáře. Mohou si tak vyzkoušet, jak si poradí se souvislým textem v angličtině. Úroveň jazyka v publikaci je vhodná pro začátečníky a mírně pokročilé studenty. Český zrcadlový překlad umožní čtenáři obratem zkontrolovat, zda cizojazyčnému textu správně porozuměl. Cvičení na konci knihy jsou vhodná pro ověření získaných znalostí. Audionahrávka ve formátu MP3, na které příběh vypráví rodilý mluvčí, je zdarma ke stažení na webu. No. 1 New York Times bestselling author Daniel Silva delivers another stunning thriller in his latest action-packed tale of high stakes international intrigue featuring the inimitable Gabriel Allon. Legendary spy and art restorer Gabriel Allon is poised to become the chief of Israel’s secret intelligence service. But on the eve of his promotion, events conspire to lure him into the field for one final operation. ISIS has detonated a massive bomb in the Marais district of Paris, and a desperate French government wants Gabriel to eliminate the man responsible before he can strike again. He is a terrorist mastermind whose ambition is as grandiose as his nom de guerre, a man so elusive that even his nationality is not known. Shielded by sophisticated encryption software, his network communicates in total secrecy, leaving the West blind to his planning – and leaving Gabriel no choice but to insert an agent into the most dangerous terrorist group the world has ever known. She is an extraordinary young doctor as brave as she is beautiful. At Gabriel’s behest, she will pose as an ISIS recruit in waiting, a ticking time bomb, a black widow out for blood.